Here's the easiest and best way to compress and convert files on any Android device. Video Converter, Compressor Pro Premium by VidSoftLab will greatly help you decrease video file size without losing a lot of quality. 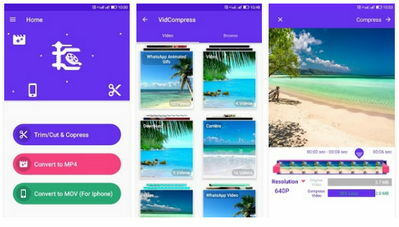 This app has other features as well such as cropping, Cutting, and Trimming videos, plus sharing to social media. This is a great video converting and compressing app you should try today! MOD Premium: PREMIUM features Unlocked; Ads Removed; Analytics disabled; All ads and services calls from Activity removed; Work on Rooted devices.